Welcome to I made that bag. 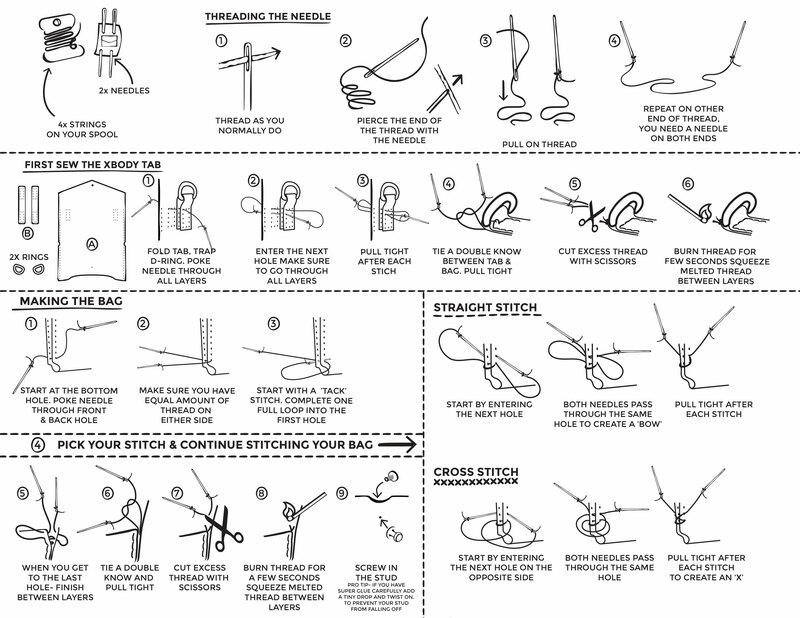 Take a look at the different styles you can make, as well initials steps to get started making your very own bag! 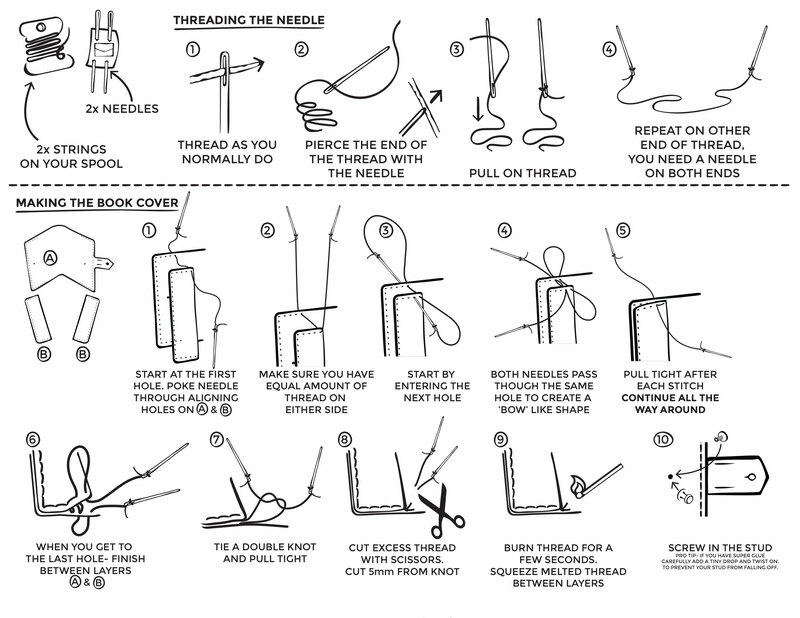 A quick tutorial on how to thread both sides of the thread. These tricks will allow you to make your bag like a professional! 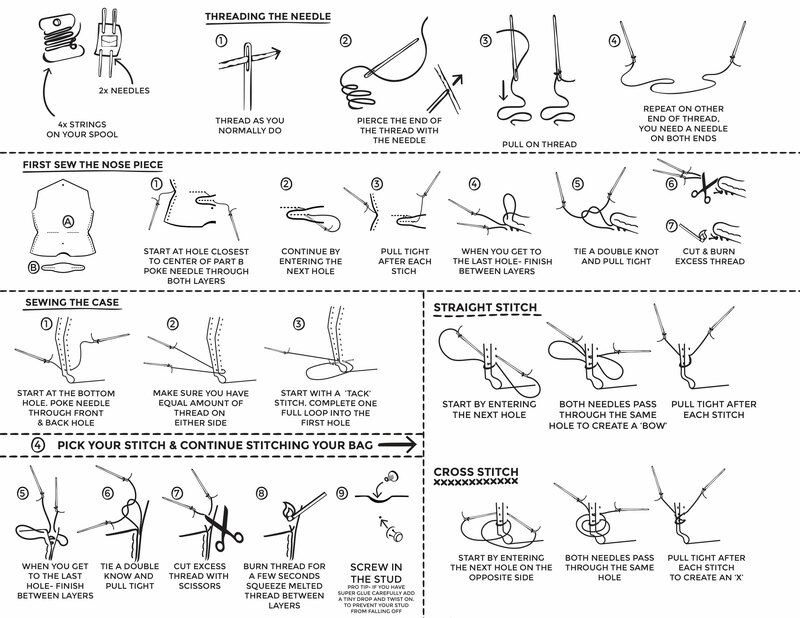 Take a peek at what you will find inside your very own 'I made that bag' kit. Note that boxes are for the kits of four or more. For individual kits your materials will arrive in a paper bag! Take a look at the different emboss options you have to choose from! Have fun customizing your very own bag! 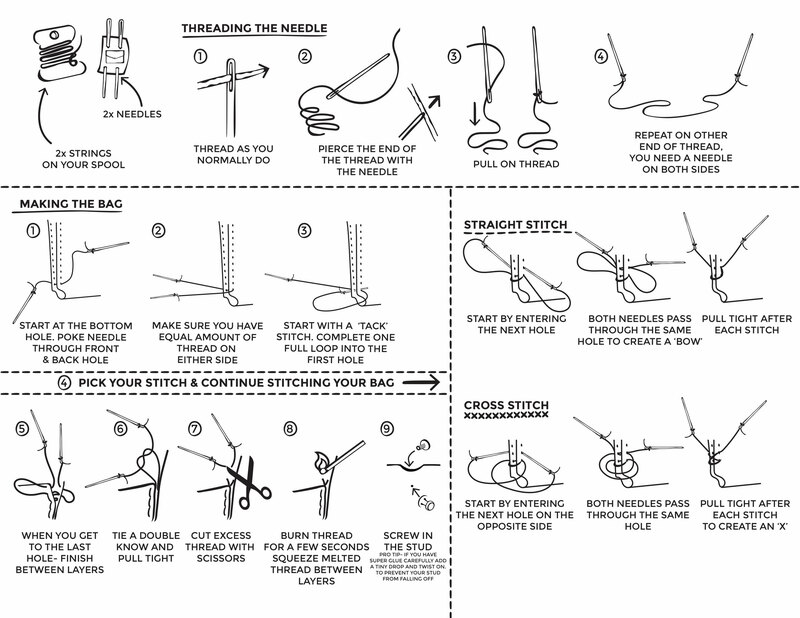 Here is a tutorial for a fun criss cross stitch. This 'X' stitch is very durable and gives a more contemporary look. Follow this video to create a professional finish to your bag.